Check out Viva Manila Pasyal Market & Fair happening simultaneously with Manila Biennale every weekend until March 3, 2018. The first leg happens on February 10-11, 2018 from 2pm to 10pm at CBCP Parking Area. The Weekend Pasyal is a street fair and art market that features local artisans, performers, and neighborhood businesses. 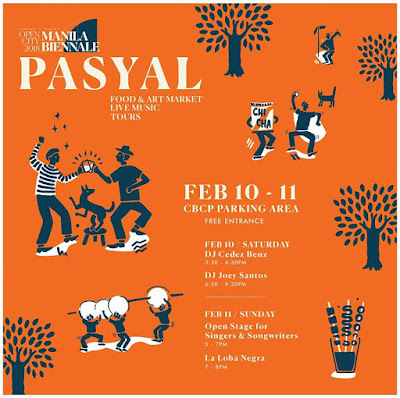 For years, Pasyal Sundays have been bringing color and livability back to the streets of Intramuros and during the Manila Biennale, they will be having pasyal pop-ups every weekend with excellent food and good vibes for everyone! For more info, please visit www.facebook.com/ManilaBiennale.